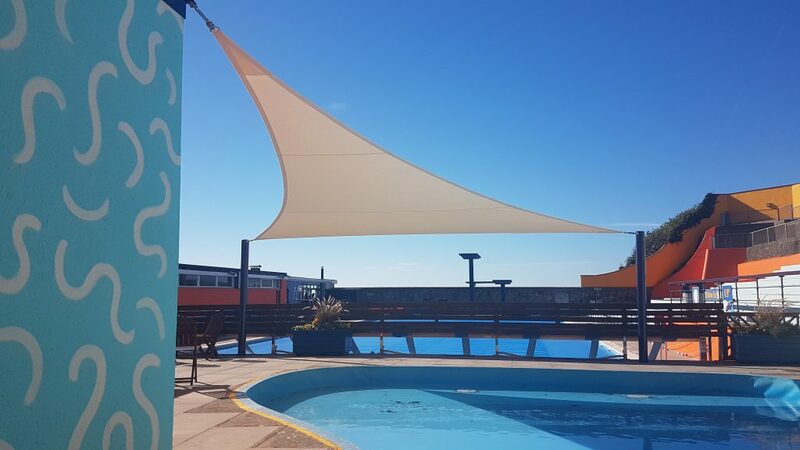 As part of major improvement works at the open air pool in Portishead, North Somerset, we designed and installed a much-needed bespoke shade sail to cover the toddler pool area. 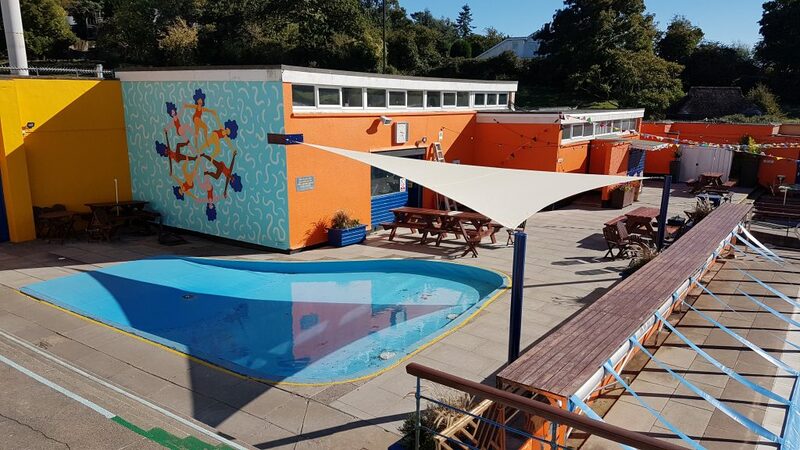 In order to keep the area underneath as free from obstruction as possible, we designed and engineered a tensile sail that could be bolted to the building on the perimeter, with the structure requiring just two further supporting masts. A perfect ‘trip aware’ solution for an area frequently trodden by little feet! 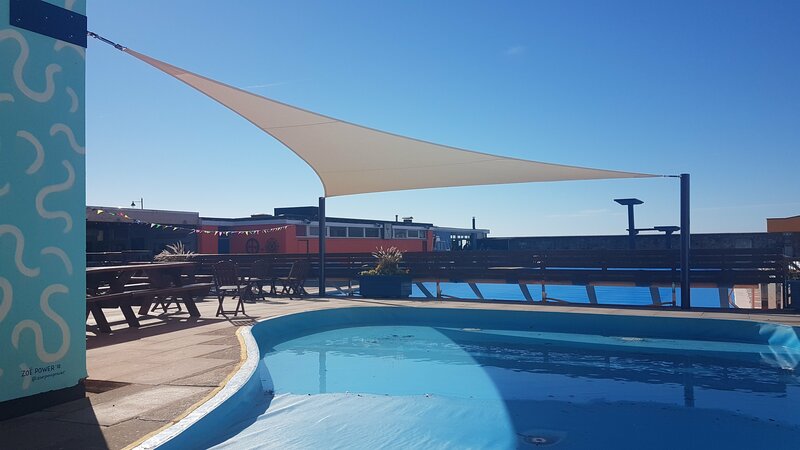 The canopy went up just in time for the heatwave that we all enjoyed this summer. 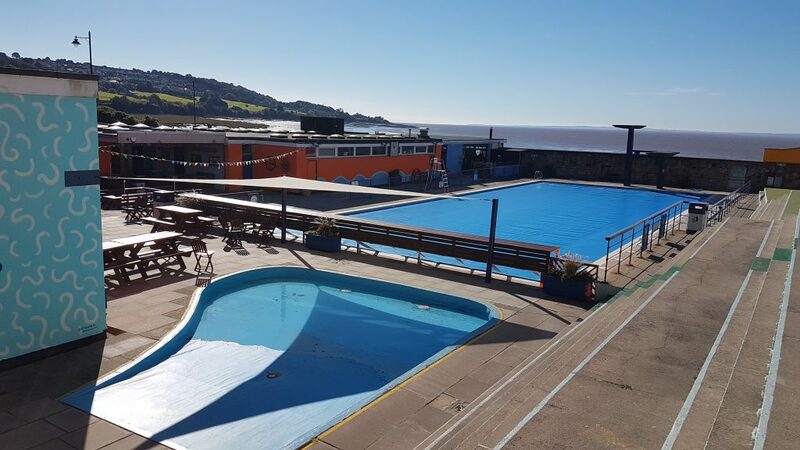 We hear it has been hugely enjoyed by visitors to the Lido!